Reading between the lines of this entertaining story for young people, we detect the inner workings of the Self, the whole of who we are, with its fragile persona. The two stones become a metaphor for the young girl’s parents. Out of the depths of the Self comes native wisdom and insight, and for Analisa the teaching of the stones is the basic text of being in relationship with others. 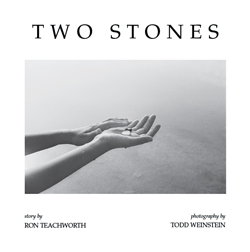 Ron Teachworth is a writer who tells stories of depth to and about young people. Copyright © 2013. Ron Teachworth. All rights reserved.